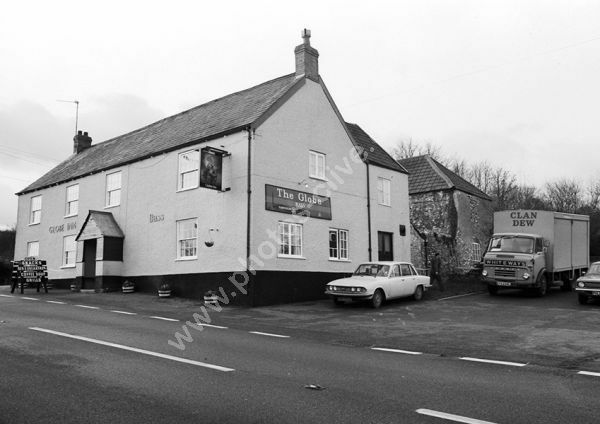 The Globe Inn, Marsh, Honiton, Devon around 1975 and before its name change to the Flintlock Inn. The cars have the registration numbers OWJ 592M and PHJ 903M both registered in 1973. The Commer Lorry from Whiteways Cider is DTA 235L. For commercial use of this photograph please visit www.alamy.com and search for AEYXA0 but for a one off print, please see below.